Whether you’re in need of a few last minute gifts for friends and family, or searching for the perfect gift for yourself, we have what you’re looking for. 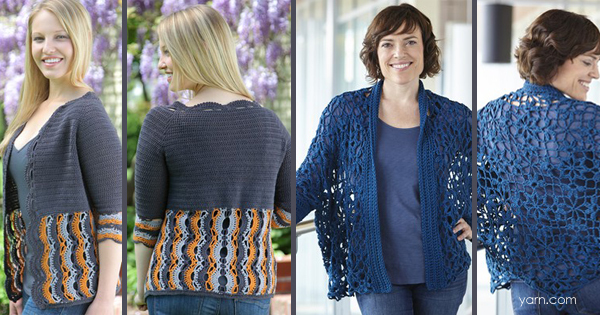 Cowls and shawlshave been very popular this year and there are so many patterns to choose from, we’ve narrowed it down to three of our favorites. 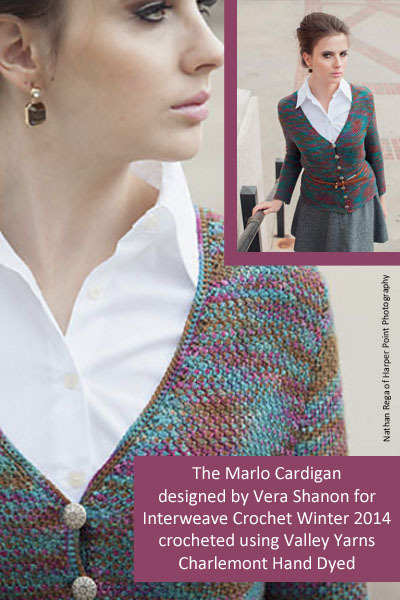 The Vanda Stole from Valley Yarns features a center out construction and an open lacey design that’s sure to work up quickly and would be a perfect project to pick up a few skeins of our 40th Anniversary Northfield hand dyed by Malabrigo. The Valley Cowl designed by Doris Chan is a luscious, lacy infinity style cowl, worked from the center out in a figure 8 with no seams! . 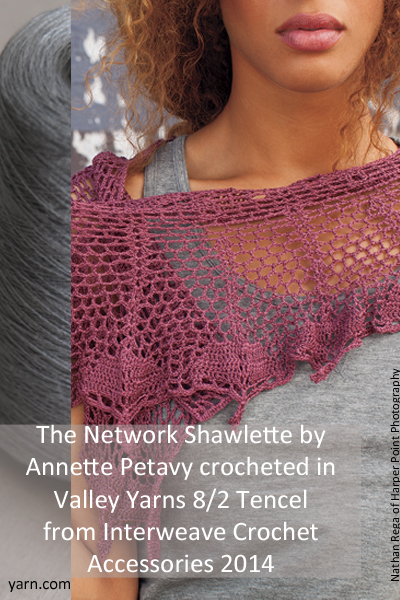 Worn as a shoulder wrap or double-twisted around the head as a hood, it makes a lovely, practical and quick-to-crochet gift. 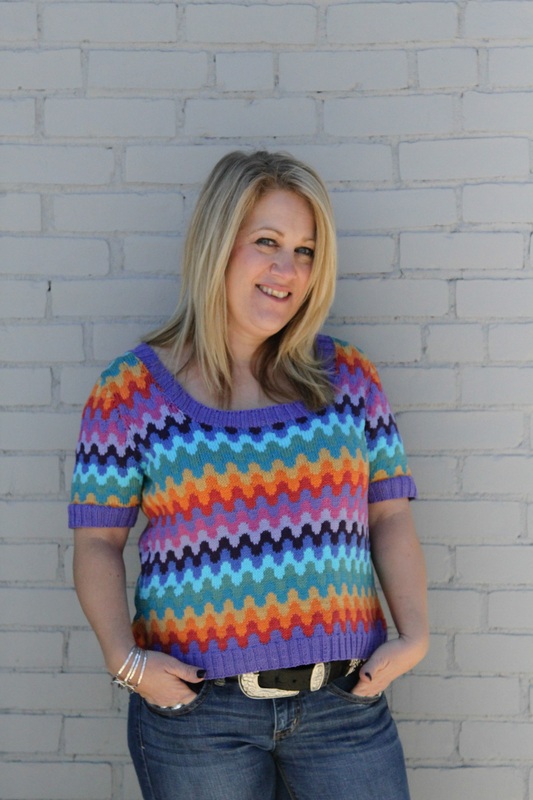 Linda Permann’s Zigzag Cowl not only takes advantage of the long color repeats of Cascade Yarns Tangier but it’s all worked with a single skein! 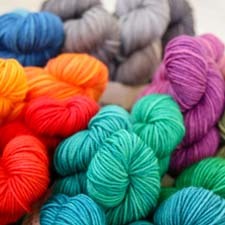 At the beginning of April we introduced you to our 3 new designs with Valley Yarns Huntington Hand Dyed by Lorna’s Laces. 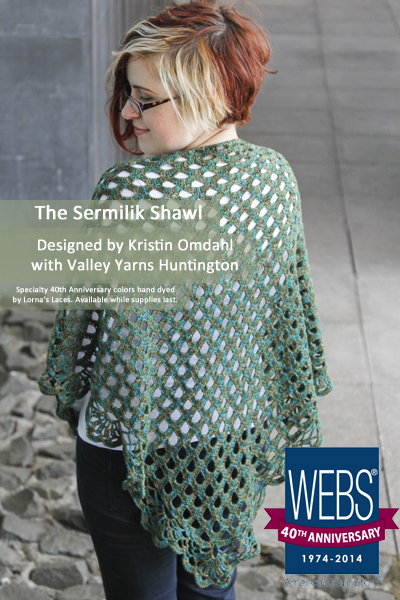 Our featured crochet design, the Sermilik Shawl, is from the wonderfully talented Kristin Omdahl. We were thrilled when Kristen said she would design a shawl for us! 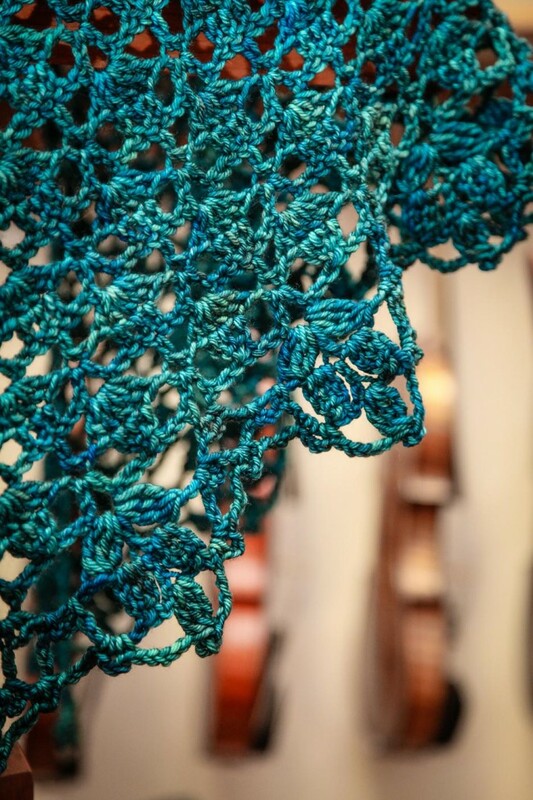 Inspired by the blue icebergs of the Sermilik Fjord in Greenland, Kristin has designed a simple triangle shawl made of stacked double crochet shells with a delicate and lacy bottom edge that that gives this shawl a real wow-factor. 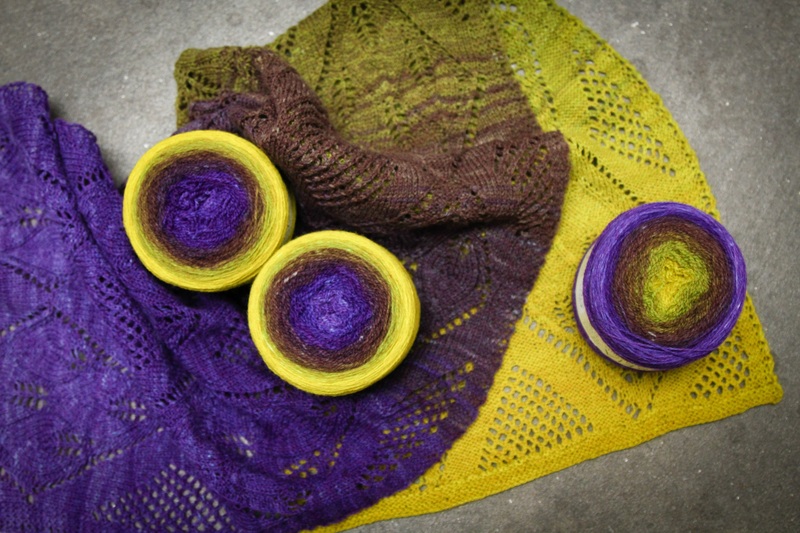 Though the stitches are densely packed the open nature of the fabric means that the shawl has beautiful drape and movement while really showing off the beauty of the hand dyed yarn colors. 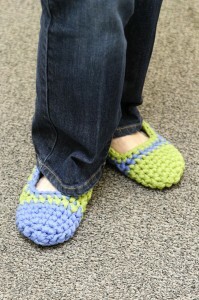 Kristen learned how to knit when she was young but didn’t really get going until she was in her twenties. 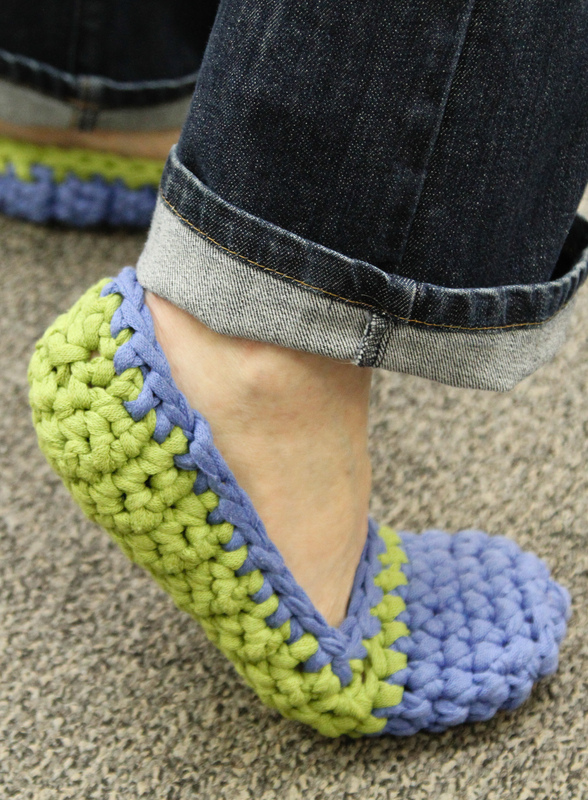 She has been designing and teaching, both knit and crochet for over 10 years and can’t imagine doing anything else, when she’s not kayaking or hiking that is! As WEBS enters it’s 40th year we’ve been lucky enough to enlist some amazing designers to help us celebrate. 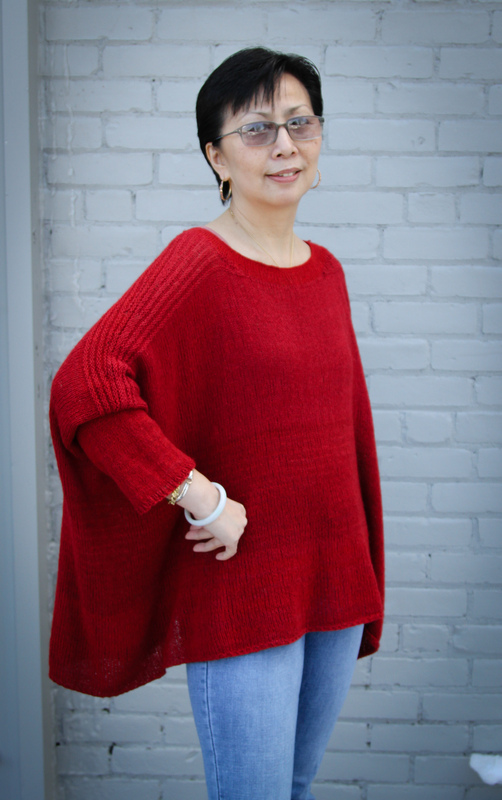 We’ll be highlighting each designer throughout the year, first up we have Doris Chan who has crafted the gorgeous Cousteau Shawl for us. I have been a WEBS customer for over a decade. 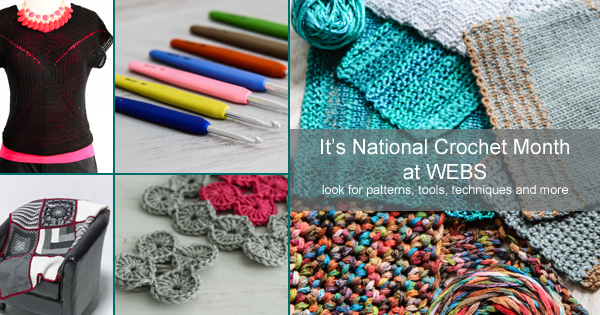 Before I was a crochet designer, before I knew much about yarn at all, it was at a WEBS vendor booth at a knitting event where I was first introduced to the joys of buying great yarn by the bag. 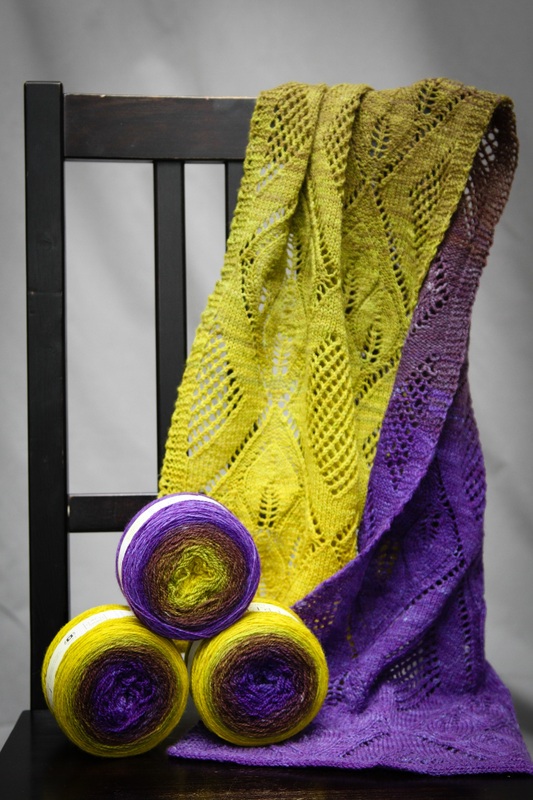 I must have browsed that display for an hour before taking the plunge and grabbing up 10 hanks of a lusciously luxe DK weight chrome yellow silk I and haven’t looked back since. Much later I began receiving WEBS print catalogs. The first one I saw was in 2010. 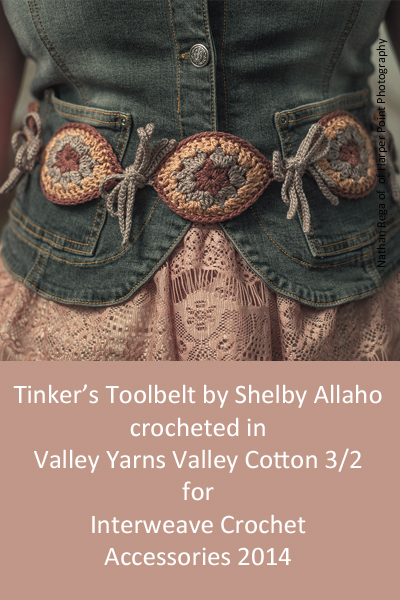 I was impressed at how Kathy Elkins openly and enthusiastically welcomed crocheters to her store by including crochet in her editorial comments, in WEBS design offerings, and on the pages of the catalog and website. I wrote and told her so, and was completely charmed by her reply. 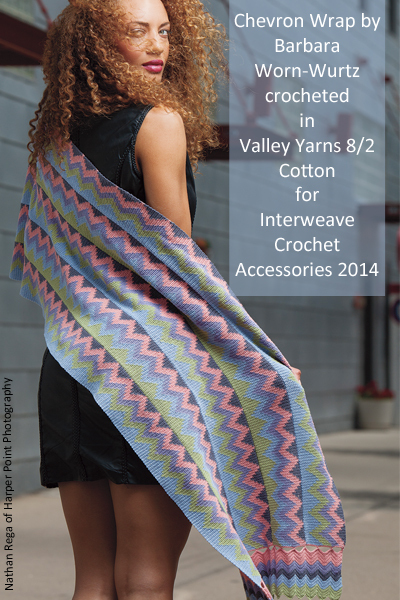 It didn’t take much coaxing on her part to start me thinking about designing with the WEBS house brand Valley Yarns. I felt confident that my work would be in good hands. 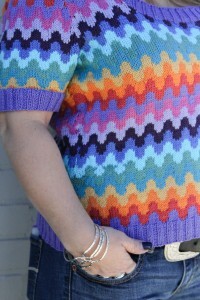 In 2011, much to my delight, my Valley Cowl debuted in the WEBS line-up, along with full pattern support and tutorials. 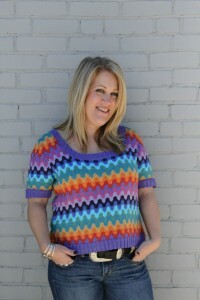 In June 2011 I finally met Kathy at a TNNA industry event. I remember laughing. A lot. Our professional connection and personal friendship continues to grow out of mutual admiration. 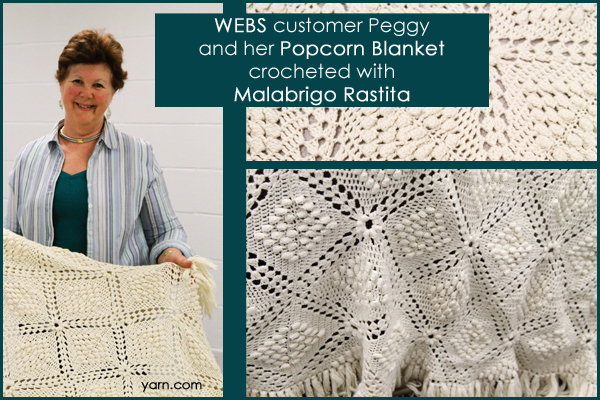 It didn’t take much coaxing on my part to get Kathy to support the Crochet Guild of America; WEBS is now a major sponsor of the CGOA Design Competition. 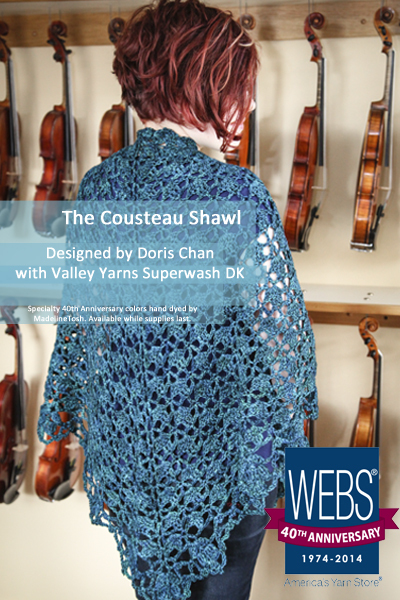 It is an honor to be invited to participate in the WEBS 40th Anniversary and a pleasure to present this design, the Coutsteau Shawl, in a special hand-dyed edition of Valley Superwash DK. Congratulations to Kathy and to WEBS! 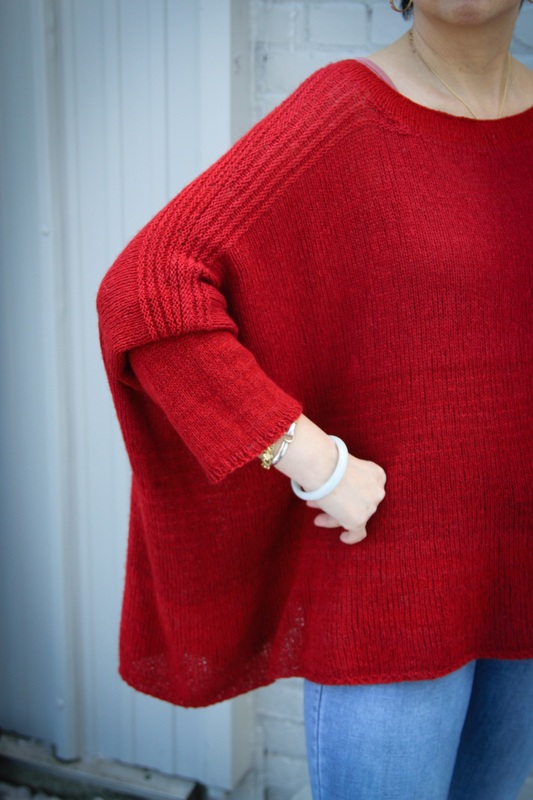 Although the stitch pattern and trim have designated RS and WS rows, the faces of the fabric are so similar that the shawl is viewable and wearable from either side. These special hand-dyes can vary from hank to hank. To avoid the stripes or blocks that may appear if you completely work each new hank in turn, you may wish to work a couple of rows, then switch hanks. For fewer cut ends, I prefer to work with three feeds at the same time; one feed is wrapped and carried up as you go at each end, every row. Because of the increasing stitch pattern at the end of every row, the best place to change yarn feeds is not in the very last stitch, but a couple of stitches before the end. 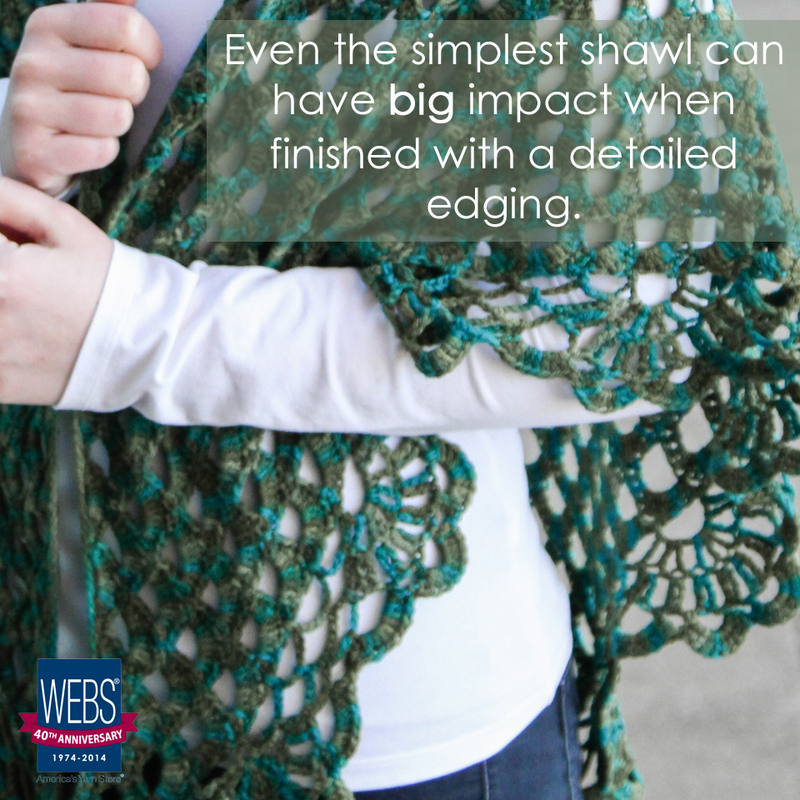 This interior wrap and carry, if done neatly and fairly relaxed, is nearly invisible and should not hamper the stretchiness of the edge shells. Kathy and Steve are off this week for the holidays but you can listen to what Kathy and our Store Manager, Leslie Ann, were talking about last year – Holiday Gifts to knit and crochet! Congratulations ladies! Keep an eye on your in-boxes we’ll be in touch soon to confirm your shipping addresses. 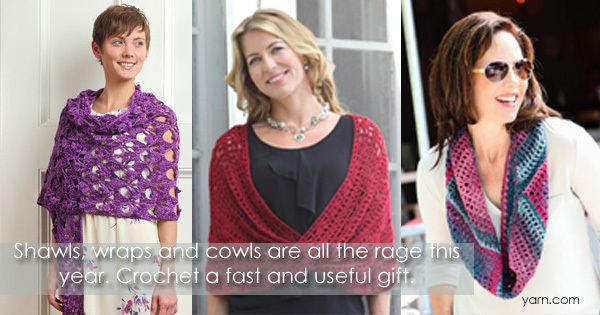 Our November KAL on Ravelry wraps up today! If you joined us in making the Safe Passage Set be sure to post your finished pics in the Ravelry group by 12 noon EDT today and be entered to win a $50 WEBS Gift Certificate. 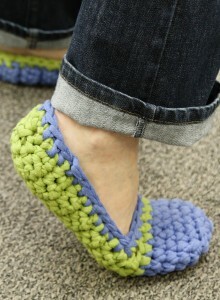 WEBS will begin opening on Sundays, from 12-5, starting tomorrow, December 1st and running through December 22nd. Team WEBS is running and walking in the Annual Hot Chocolate run to benefit Safe Passage next Sunday, December 8th. Please make a donation to any member of our team and remember: Steve and Kathy will match all funds raised!